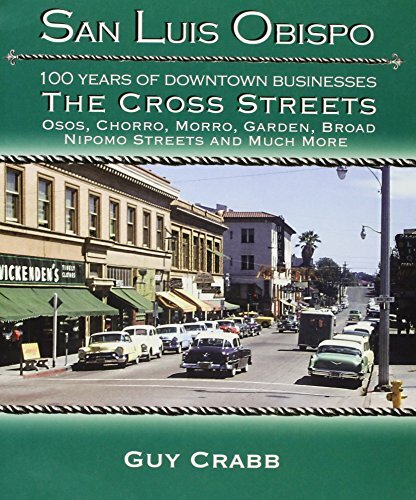 Synopsis: San Luis Obispo: 100 Years of Downtown Business, The Cross Streets, is a treasure of photos and facts that inspire a fun exploration into the past of San Luis Obispo downtown buildings and businesses. Jumping every 5 years, starting in 1905, discover what kinds of businesses filled Osos, Choro, Morro, Garden, Broad, Nipomo, and other streets over the past 100 years. You will love this timeless walk down the cross streets of San Luis Obispo.